Some people in the past might have thought Berghaus was a foreign brand, however it’s British (#fact). Where did the name Berghaus come from and how was the company born? It is easy to forget that the outdoor industry as we know it is still fairly young. As recently as the 1960s, the sector was mainly populated by relatively few enthusiasts who designed and made kit in order to help them and their friends get more enjoyment out of their time in the mountains. Berghaus was founded in those circumstances, when Peter Lockey and Gordon Davison opened the LD Mountain Centre in Newcastle upon Tyne, North East England, in 1966. As well as selling kit in the new shop, Peter and Gordon distributed outdoor gear from Europe around the country. They needed a name for that distribution part of their business and as much of the best kit at the time came from Germany or Austria, they rightly decided that a bit of instant credibility could be gained by roughly translating the name of their shop into German. And so Berghaus was born. Product quality and performance are fundamental to the brand. What other values are important to the Berghaus brand? By the early 1970s, Lockey and Davison had started developing their own kit to sell in store, and they decided to brand this product with the Berghaus name. The very first Berghaus product was in fact a simple lightweight tent, but the item that established this brand’s enduring reputation for innovation arrived on the market in 1974 and was the soon to become famous Cyclops, one of the world’s first backpacks to have an internal frame. 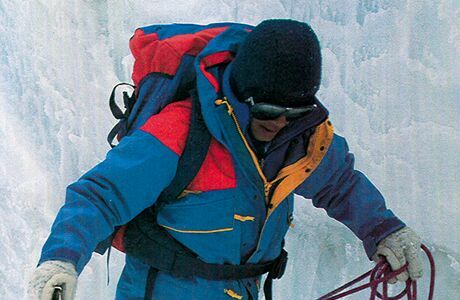 From that moment onwards, Berghaus had a reputation for creating cutting edge, innovative products. The late 1970s saw the launch of Europe’s first Gore-Tex jacket and the legendary Yeti gaiter, which was soon to become standard issue for expeditions around the world, and from that platform our business and reputation flourished. Over the years you’ve introduced more products and varied kit such a shoes, boots, high altitude suits and hydration packs. Can you give us any clues to what the future might hold in terms of new product launches? Or is it a case of watch this space! Over the decades, Berghaus has been responsible for many ground-breaking products in the outdoor industry, from inter-active jackets, to compression back systems, to lightweight fabric boots, to a backpack that flexes, twists and pivots with the body, to water resistant down, to the world’s lightest waterproof jacket, and much more. Our products have won countless industry awards, but much more importantly, they have won the trust of consumers everywhere. Whatever they are doing outdoors and wherever they are doing it, people know that Berghaus gear will help them achieve to their objectives. [Not many clues to go on here. Guess we’ll have to watch the space]. In 1995 I (Marni) bought my first outdoor kit to travel India and still have my battered but trusty and much loved Berghaus backpack, although used for family picnics now. What kit do you still get sent through the door? At Berghaus HQ, we have a ‘museum’ of kit from over the years and it’s amazing how many products have endured the test of time in such great condition. Consumers regularly get in touch to tell us about jackets, or packs, or boots, that they have been using for an awfully long time, but which continue to perform as well as ever. We often ask if we can have them back (in exchange for a new product of course!) to add to our collection of heritage kit, but very rarely will people part with their much loved Berghaus gear. Thorough kit testing and development is why Berghaus has become one of the best brands in the outdoor market. Since 2006, when you introduced your design and development team, MtnHaus, what technological aspects have you developed which are unique to Berghaus? Crucial to the success of Berghaus has always been a close relationship with our team of sponsored athletes. Leading the way is MtnHaus™, a team within the business that exists for the sole purpose of creating genuine kit innovations. 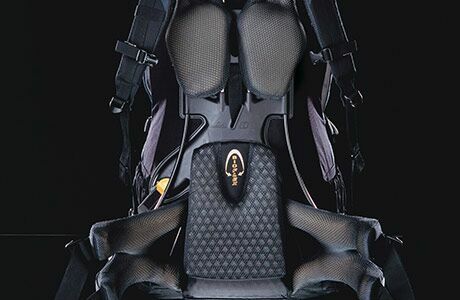 MtnHaus™ has been responsible for several world firsts during the last few years, thanks to a process that sees our designers working hand in hand with sponsored athletes to engineer and test cutting edge concepts and turn them into finished products. 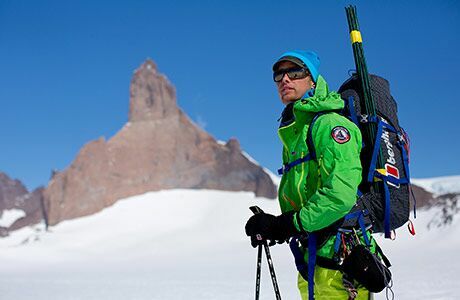 Leading figures such as Leo Houlding, Mick Fowler, Sir Chris Bonington, Angelika Rainer, Molly Thompson Smith and Rolfe Oostra play direct roles in ensuring that Berghaus continues to push the boundaries of what is possible in outdoor product development. When members of the general public see the likes of Rolfe using and talking about Berghaus kit, they know that they too can rely on our gear when they head out to experience their own adventures – that’s a really powerful message. You have some incredible athletes and ambassadors which use Berghaus clothing in some of the most extreme conditions known to man. What expedition are you most proud to have supported? Berghaus has supported a huge number of famous expeditions over the decades and our products have played a role in countless others. Berghaus kit has been to the top of the world’s 14 8,000m mountains, to the Arctic and Antarctic, to innumerable British, Patagonian and Alpine peaks, to deserts and jungles, and to pretty much everywhere in between. Berghaus is proud to support 360 Expeditions, another company that is helping people to explore the world around them and experience the thrill of outdoor adventure. 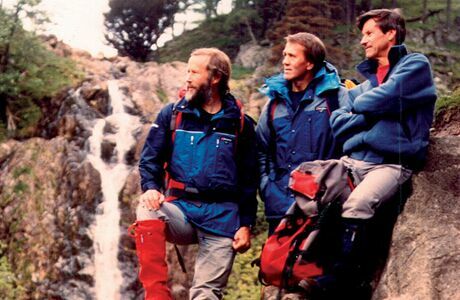 Here’s to another 50 years of Berghaus and to enduring success for 360 Expeditions! Berghaus are recruiting for participants for their Active Lives panel. It’s an online focus group whereby you (the budding adventurer) can run your own ideas past the very people that create new products at Berghaus. This is your chance to get involved with the future products Berghaus could launch! So. Want to help shape the future of @TheRealBerghaus? To find out more about Berghaus visit www.berghaus.com and www.facebook.com/berghaus, or follow @TheRealBerghaus on Twitter.